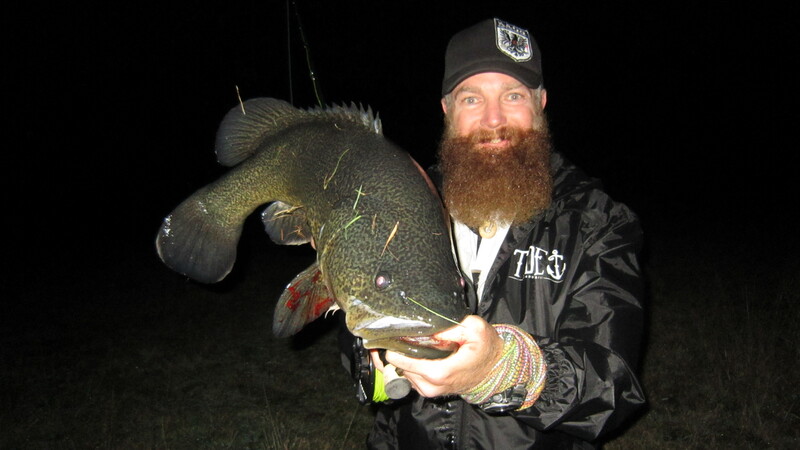 Don’t get stuck in a RUT try – Winter Murray Cod fly fishing! Fueled by my passion for fly fishing with my fly rod in hand and the great outdoors calling you! I’m fishing in a tight pocket of the river casting large flies at these beautiful marbled colored fish. A season you have planned never goes the way you expect it to and the journey still continues. Tough season and equally tough and stubborn fish, the hunger drives you to boiling point and you still set trip after trip to nut out the mighty cod. Fly fishing is not limited to the summer months with the right knowledge and approach; you get to enjoy your passion any time of the year. Though you do not always come home with a fish or even get a strike, you are still able to pursue your passion all year long. 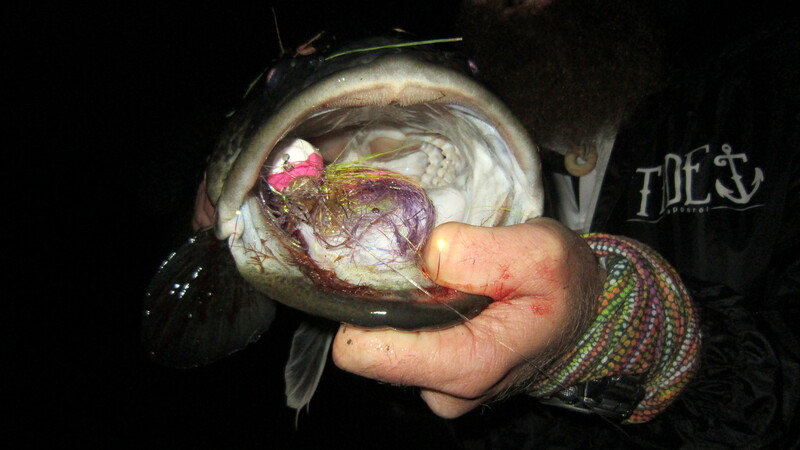 Make every opportunity into fly fishing season. 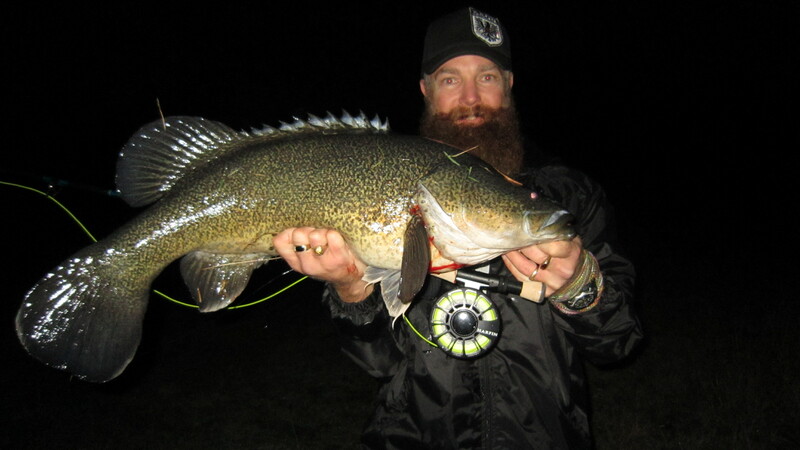 If you haven’t given this technique much consideration as a productive way to fish for Murray cod at any time during the season you should rethink your prejudices and give it an honest try. Trout Cod @ Lake Sambell & Kerferd! 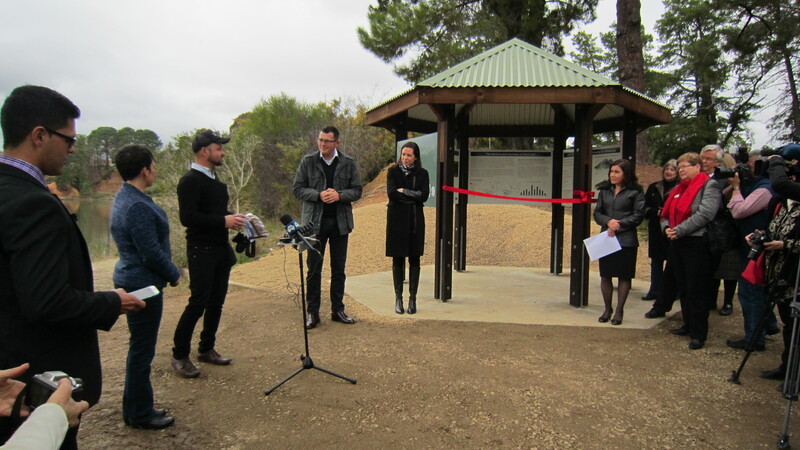 BEECHWORTH has become Australia’s newest hot-spot for anglers, with the town’s Lake Sambell becoming Australia’s first trout cod fishery. 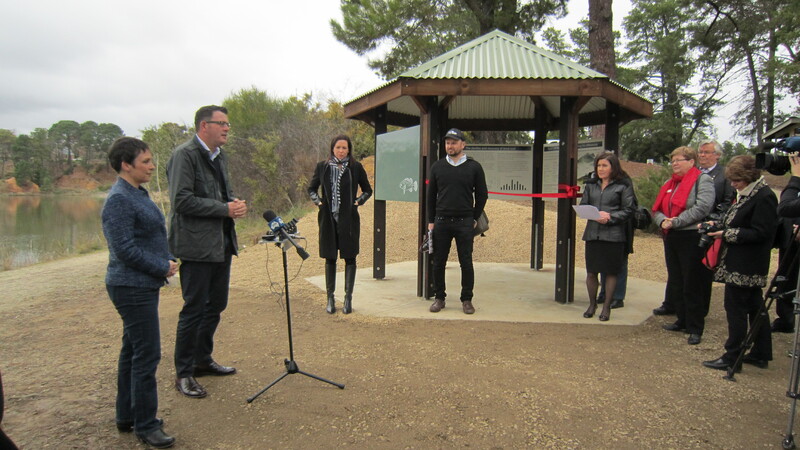 The world-first trout cod initiative was launched on by Victorian Premier Daniel Andrews, Minister for Agriculture Jaala Pulford and VRFish general manager Dallas D’Silva. 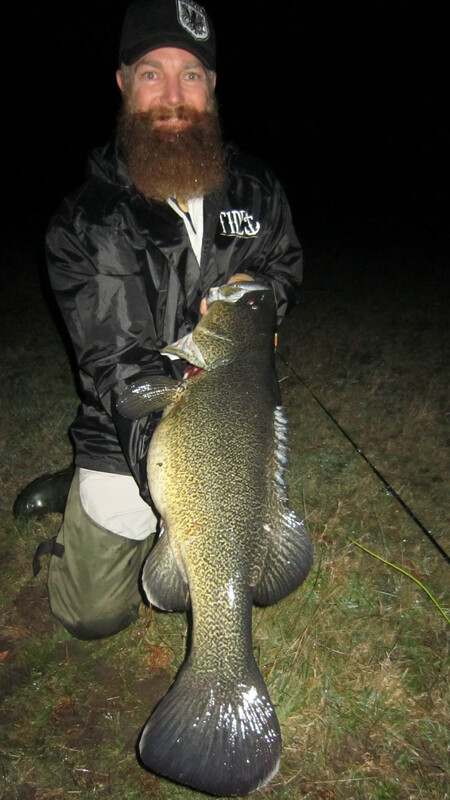 As of 14 August 2015, Australia’s only trout cod fishery was opened at Lakes Sambell and Lake Kerferd (near Beechworth in North East Victoria). The lakes have been stocked with more than 45,000 trout cod fingerlings since 2008 using revenue raised from recreational fishing license fees. Trout cod populations nationally in all other rivers, streams and impoundments continue to remain threatened and are not permitted to be caught. 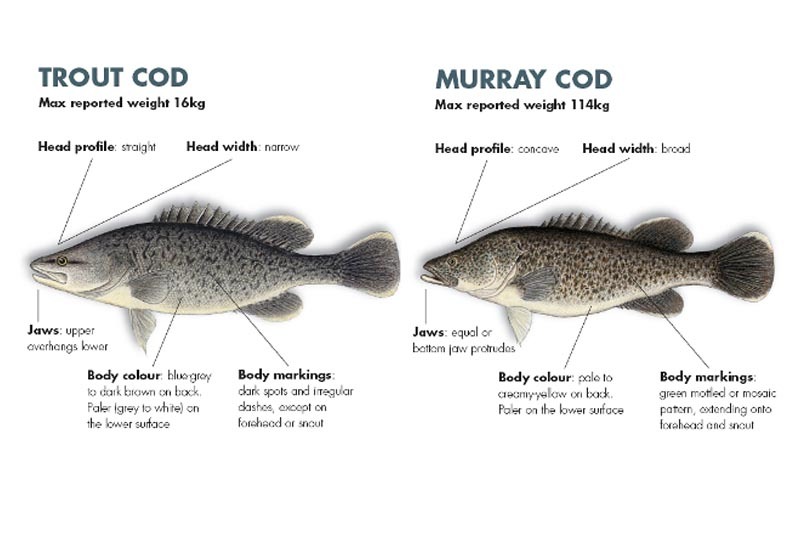 For more information, see the Fisheries Victoria website for a more detailed description of the differences.